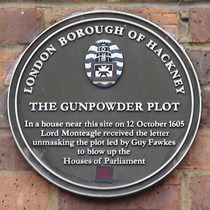 The Gunpowder Plot. 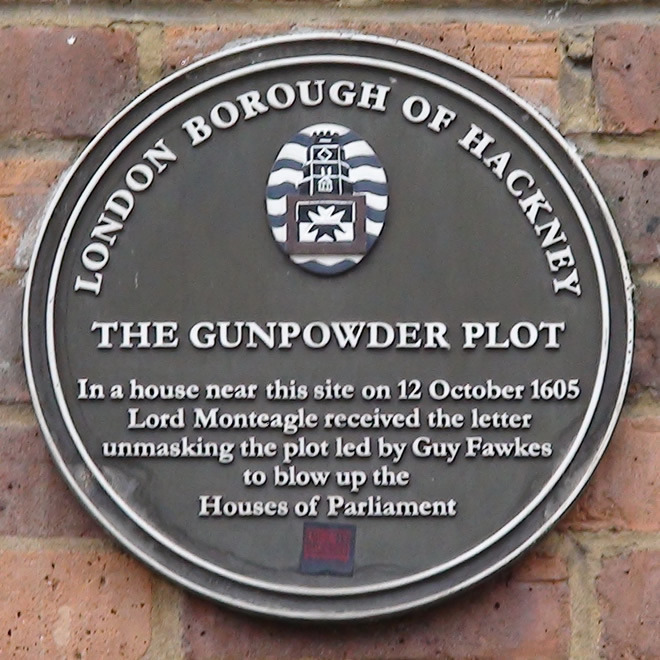 In a house near this site on 12 October 1605, Lord Monteagle received the letter unmasking the plot led by Guy Fawkes to blow up the Houses of Parliament. Monteagle was at dinner when he received the letter so he passed it to a servant to read aloud. This servant was closely connected to one of the conspirators, so they were forewarned of the betrayal. Lord Monteagle wouldn't recognise the old 'hood, would he? See Guy Fawkes for the story. Perhaps the foliage on the plaque is an olive branch.